Washington, DC – December 7, 2017 – The Trustworthy Accountability Group (TAG), an advertising industry initiative to fight criminal activity in the digital advertising supply chain, today released a study conducted by The 614 Group that found the use of TAG Certified distribution channels for digital advertising reduced the level of fraud by more than 83% from the broader industry average. Analyses by verification technology providers have found the levels of Invalid Traffic (IVT) in digital advertising average 8.83 percent for display inventory in North America (and rise to 12.03 percent when video inventory is included). In such TAG Certified Channels, the IVT rate fell to 1.48 percent, a reduction of 83 percent over industry averages. “The 614 Group have been leaders in promoting brand safety best practices and supporting the creation of standards and guidelines. Fraud has proven to be one of the most intractable issues in this area over the years,” said Rob Rasko, Managing Partner of The 614 Group. “We are pleased to release this groundbreaking research on the impact of TAG's efforts to address the IVT challenge, and we believe the quantitative data combined with the timely first-hand analysis from the agency leaders who deal with fraud on a daily basis offer compelling insights on the impact of the TAG program." More than 170 companies now participate in the TAG Certified Against Fraud Program, and 49 of those companies have already achieved the Certified Against Fraud Seal. The number of certified companies has more than doubled since April. The full study can be found at https://www.tagtoday.net/fraud_benchmark_research_us. 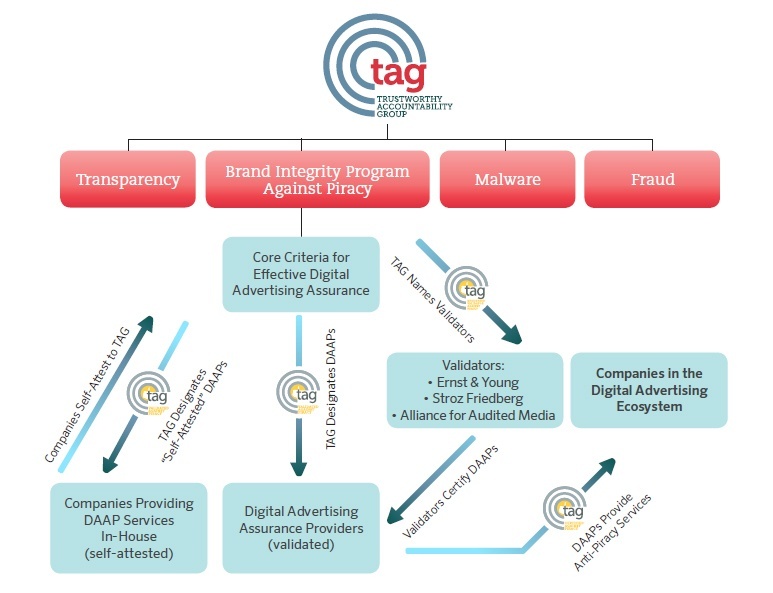 Additional information about TAG’s Certified Against Fraud Program and how companies from across the advertising ecosystem can received the TAG Certified Against Fraud Seal can be found at https://www.tagtoday.net/certified-against-fraud-program/. The 614 Group assessed the rate of Invalid Traffic (IVT) in 6.5 billion digital ad impressions executed by three media agencies – GroupM, IPG Mediabrands and Horizon Media – on behalf of clients from July 1, 2017 to October 31, 2017. All of the impressions were delivered via TAG Certified channels in which multiple entities involved in the transaction – such as the media agency, buy-side platform, sell-side platform and/or publisher – had achieved the TAG Certified Against Fraud Seal. Data on fraud rates were drawn from analyses for the agencies by MOAT, DoubleVerify or Integral Ad Science, ad-verification providers who are both TAG Certified Against Fraud and hold accreditations from the Media Rating Council (MRC) that include IVT measurement – both General Invalid Traffic (GIVT) and Sophisticated Invalid Traffic (SIVT). The study compared the TAG Certified baseline to a combination of the publicly reported marketplace fraud data collected by DoubleVerify, Integral Ad Science and ANA/White Ops. Special recognition goes to Scott Cunningham, owner of Cunningham.Tech Consulting and Founder of the IAB Tech Lab, who contributed to the research.